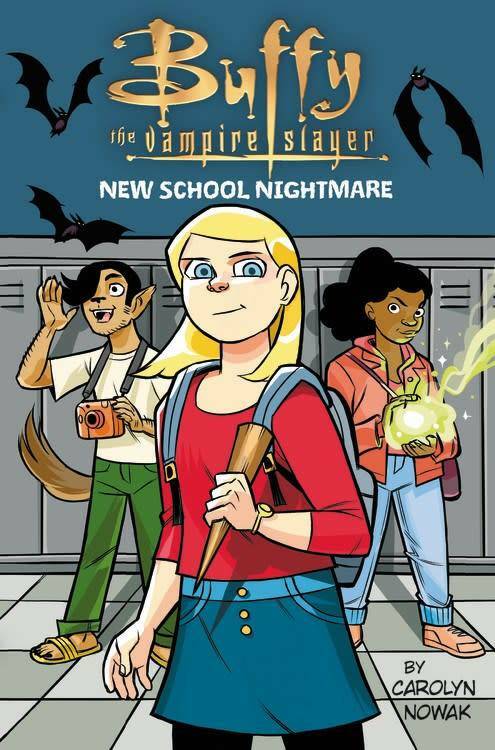 An exciting and hilarious new middle grade story for anyone who likes (or doesn't like) vampires! Buffy Summers is just like any other student...except for the part where she's also a secret vampire slayer. In every generation, one girl is granted great strength to stand against the forces of darkness. Of course, power doesn't matter when it comes to eating lunch alone, getting picked on by the popular kids, or having way too much homework. Luckily, Buffy finds her way with a can-do attitude, a weird Watcher, and new besties, Sarafina and Alvaro--who might just have powers of their own. But will any of it be enough to turn the tide when an army of villainous vampires invade town? Can Buffy save herself, let alone the world? Like Star Wars: Jedi Academy and DC Comics's Secret Hero Society, this action-packed and fun-filled story is told through comics, journal entries, class notes, doodles, text messages, and other in-world artifacts.